"It's difficult to manage project portfolios and meet company objectives. How are you connecting strategy with execution?" 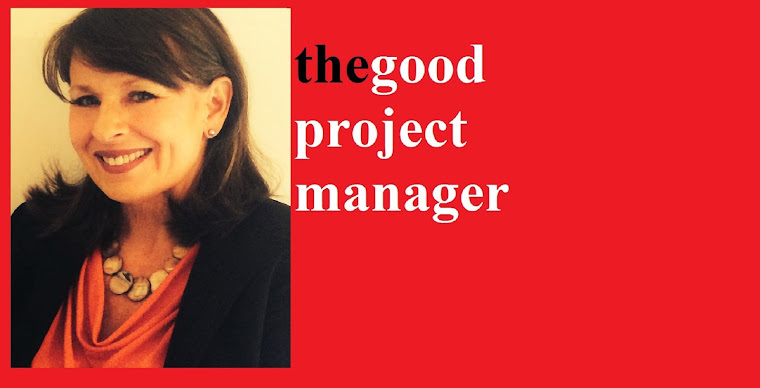 My answer is through the 3-Cs of Project Management. 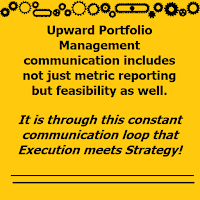 I find when I am put on a problem portfolio or program it is usually because communication failed somewhere to communicate the goals and objectives in one way or another. 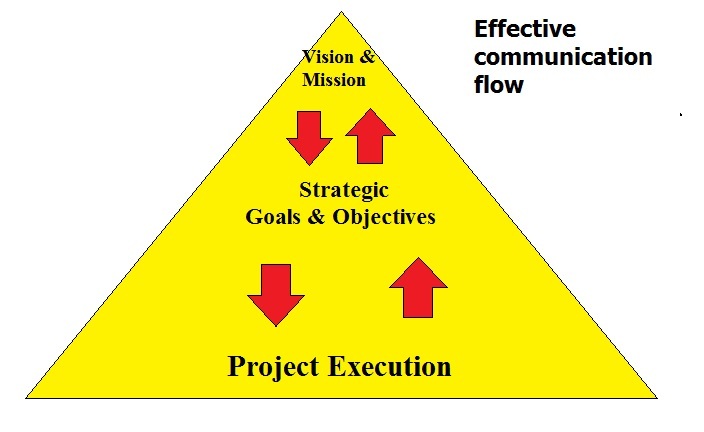 Strategic Goals & Objectives sit right in the middle between Mission & Vision and Execution. Strategy includes such things as specific goals and objectives with perhaps numbers and deadlines. These strategic goals and objectives then feed the execution. Programs and Portfolios are management constructs to better manage large numbers of projects or related projects and activities. Remember projects produce deliverables, but the value is realized through programs. Program management is not only for the planning performance against strategy but also are a management construct for managing the value of sub-programs, projects and operations. It is the Program Manager's responsibility to align the program with the strategic goals and objectives to ensure appropriate use of the organizations resources and the initiative DOES PROVIDE BUSINESS VALUE! The Program and Portfolio Manager have a duty to evaluate the strategy and the investment decision before defining the portfolio's strategy and accepting new programs and projects in the portfolio. Remember the 3-Cs of project management? Communication cannot be downward only! Portfolio and Program Managers must report up to the stakeholders responsible for the strategy, not only the status & value of programs and projects undertaken to achieve the strategy, but also the feasibility of the selected strategy. Many assumptions are often made when performing strategic planning. It should not be a big surprise to anybody that reality of execution can change the strategic goals and objectives. So providing a feedback loop to the stakeholders of the strategic goals and objectives is required, allowing the stakeholders to correct the course if necessary. 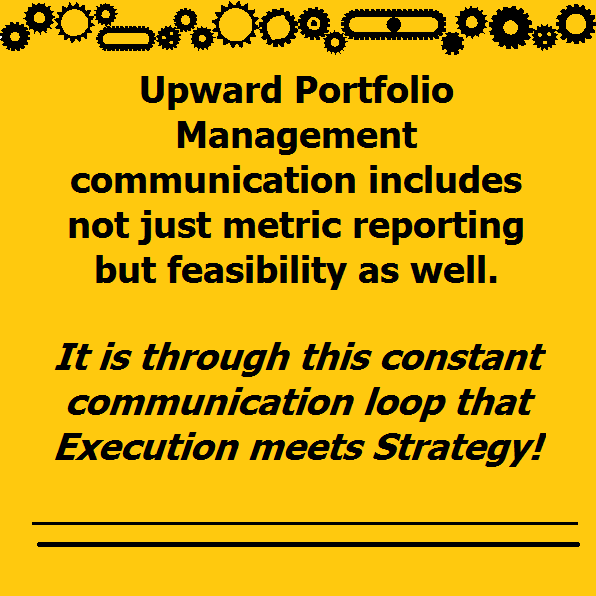 It is through this communication loop that execution meets strategy.